Every organization dedicates resources to understanding how to motivate employees for higher productivity, how to meet and exceed established goals, and how to inspire loyalty in top performers. In the past it was believed that money was the only true motivator, and now we know that successful motivation is more complex than offering an annual bonus. Employee Development Systems, Inc. (EDSI) has unpacked the key components of successful employee motivation. For 30 years, we have been helping our clients put these learnings to work for growth and success in their organization. Motivating employees to achieve includes: demonstrating trustworthy leadership, and expressing relevance in their everyday work, fostering employee career advancement plans, helping them develop a vision of a stable future, giving them the ability to impact their workplace or projects, and helping them foster happiness at work and home. Employee Development Systems, Inc (EDSI) programs help leaders target the primary employee needs which, when satisfied, become motivators for greater productivity and loyalty. 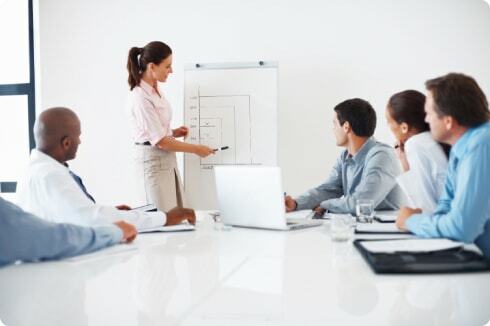 Employee Development Systems, Inc (EDSI) leadership development programs include conflict resolution, team building, leadership training, listening skills development, and other key skills for successfully fostering employee motivation. Contact us to learn how we can help increase productivity and profits in your organization at 800-282-3374.